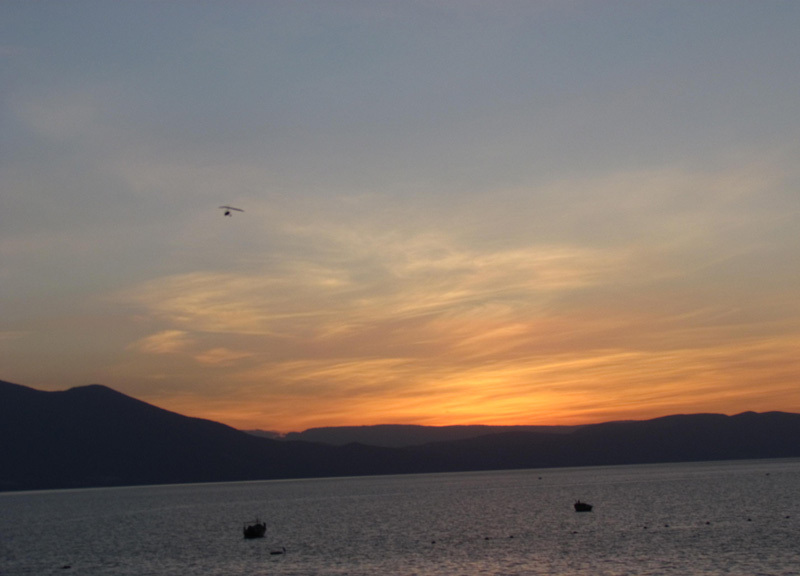 Sunsets are one of the many spectacular things we enjoy about Ajijic. The mild winter weather is another. But what we enjoy most are the friends we made over these past six years. Here is just a glimpse of what we were up to in December. Hope each of you had a Happy New Years. 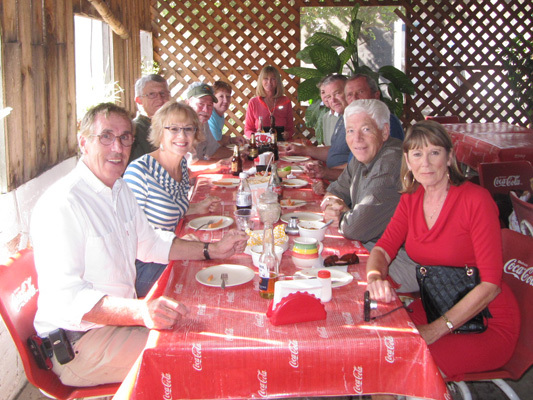 Lake Chapala has a growing number of recreational opportunities. 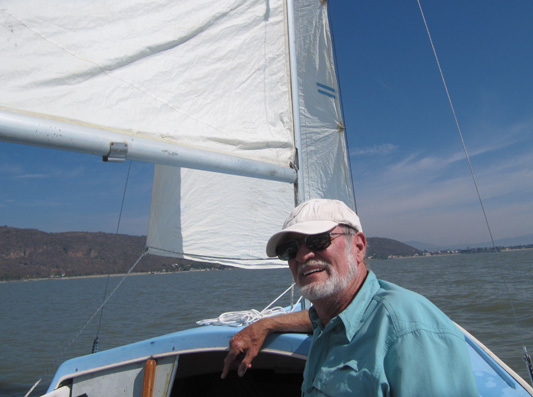 Captain Quinton, part owner of this sail boat, took us on a three hour cruise on the lake. Sunday brunch has become the norm. 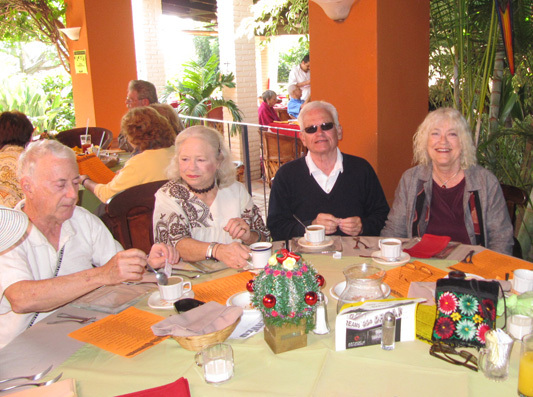 Here Phil, Mary, Chuck and Jean are among nearly 20 friends to break bread this Sunday morning. Red Piano is a new venue for Ajijic. 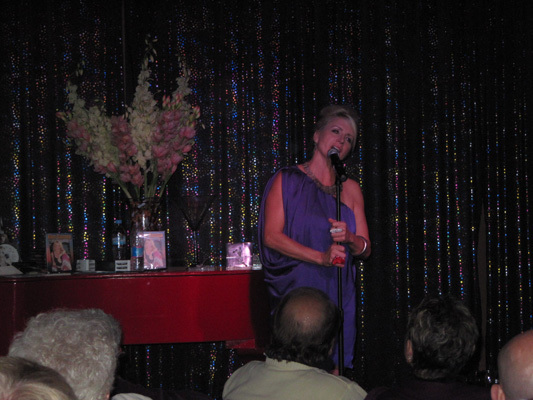 Great performers from Puerto Vallarta come here weekends to sing and entertain. Over 20 people came out to help celebrate December birthdays. 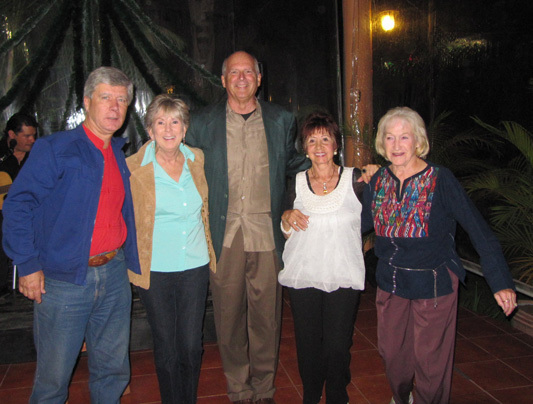 This included Norm, Connie, Wayne, Rose, and Carolina - the December birthdays. Happy Birthday!! Doo Wop, is like the "sock hop" we attended in our youth. 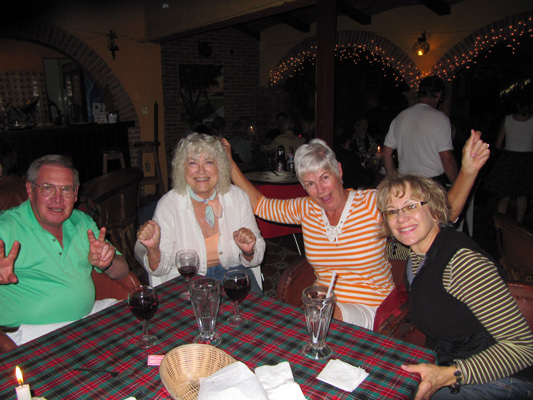 Here Rick, Carol, Sandy and Glorine are taking a break from the dance floor. 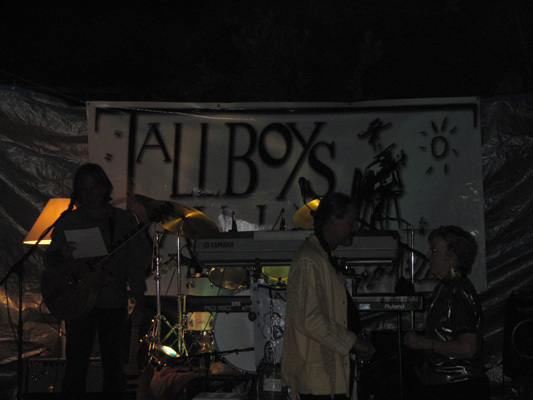 "Somewhere in Mexico" is one of the many hits recorded by an Ajijic favorite band--the Tallboys. They sure can draw a crowd. Another Sunday, another Sunday brunch. This one in Jocotepic, a community about 15 miles west of Ajijic, along the western shores of Lake Chapala. The kitchen is the main attraction. 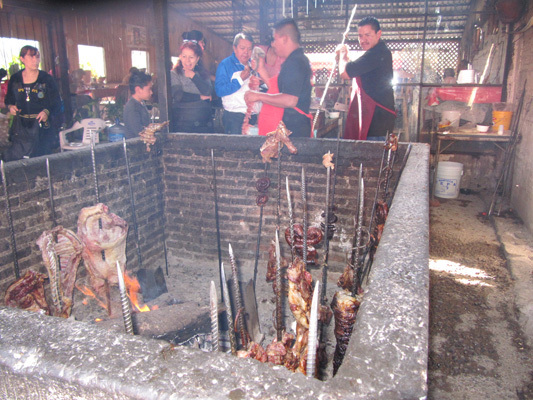 Pork, beef, chicken, rabbit, quail, chorizo, and lamb are cooked in this open pit. Hmmm!! Is it good!! 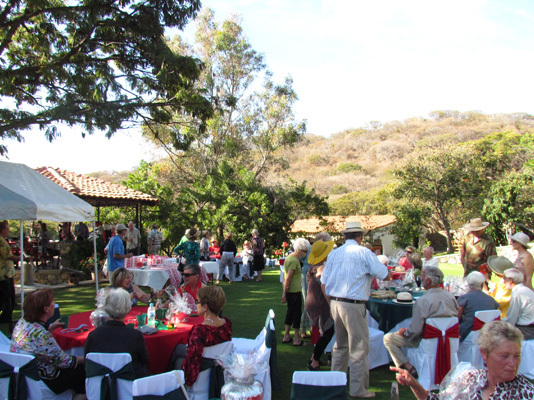 The Ajijc Garden Club hosts a number of open houses throughout the year. 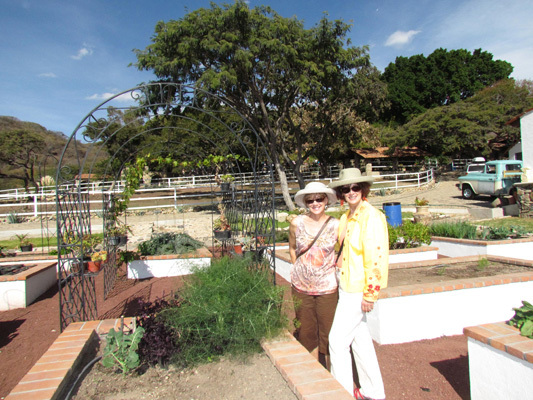 Here Glorine and Maureen are admiring this raised garden. The owners of this home open their three acre estate to 100 plus quests who partook in great appetizers and music on a warm December afternoon. 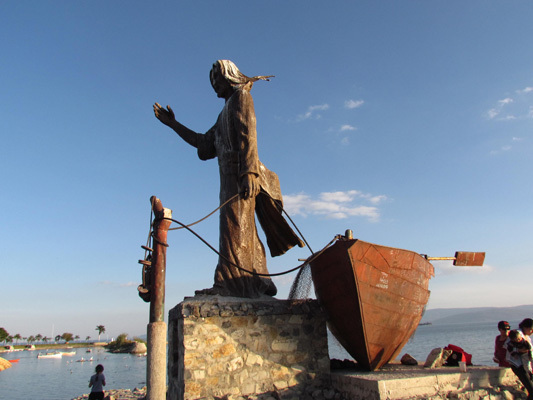 Jesus the Fisherman, is a statue on a man-made island off the shores of Lake Chapala--one of many attractions that bring so many visitors to Chapala. 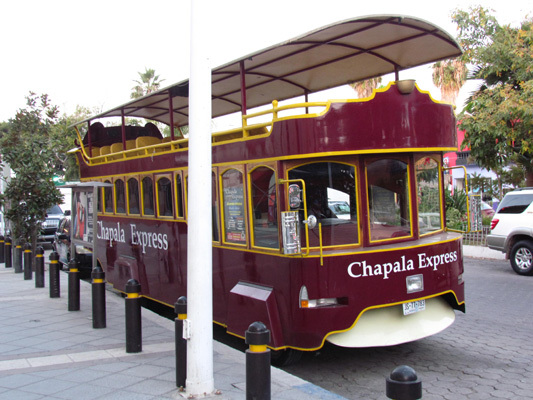 This double decker bus is a new venue to the Ajijic area and is designed to take visitor around in style. 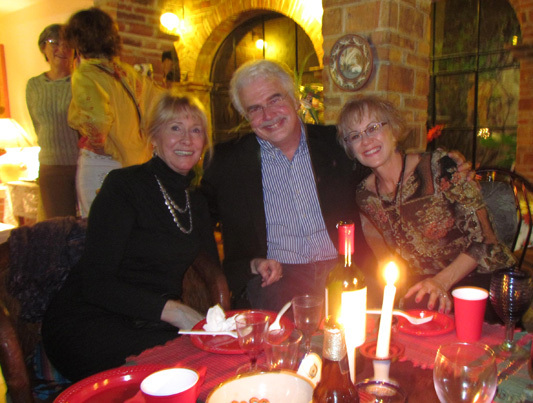 Michelle, Les and Glorine are among the nearly 50 guests invited to celebrate Christmas Eve together, hosted by friends Chuck and Jean. 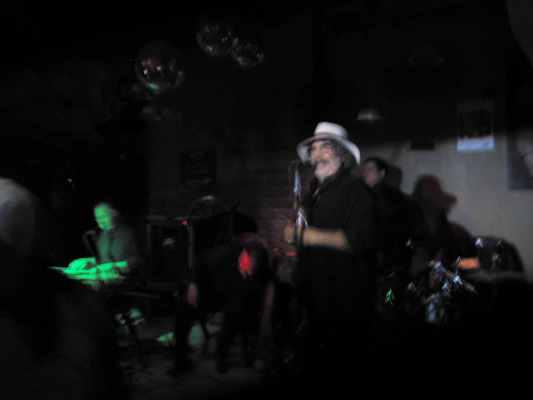 Larry's harmonica teacher, Jay Shuffle, provided the music at one of the local pubs to help ring in the New Years. 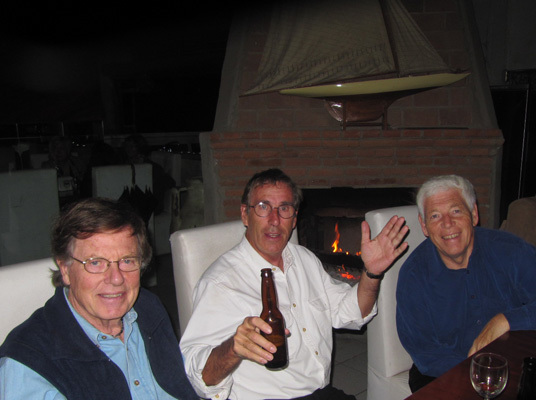 Jim, Rick and Brian are some of our Canadian friends who joined us in the New Year's bash. 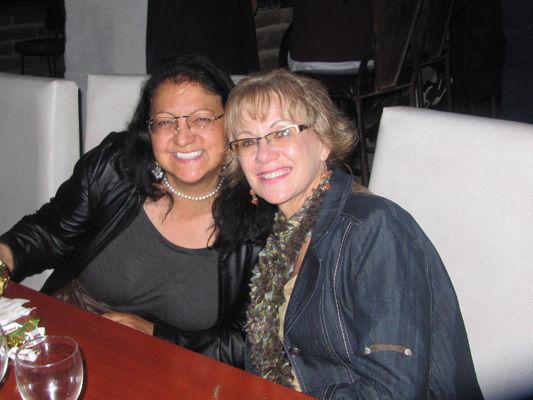 Margarita is a Mexican friend who joined us on New Year's Eve. Wow, what a way to bring another great year to an end.